Where is Bob? 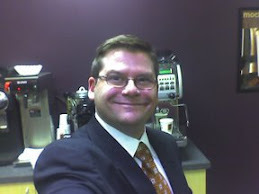 : The BIGGBY way trumps all....thanks for the POST Catherine! 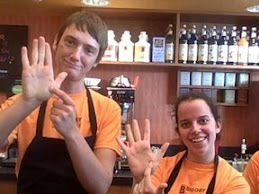 The BIGGBY way trumps all....thanks for the POST Catherine! I just wanted to write and let you know that on July 29th, I stopped in to Biggby to redeem my free birthday drink coupon. I was having a bad day and didn't have that great of a birthday. I placed my order with drive-thru employee and when I pulled around, he immediately wished me, "Happy Birthday" and asked how my birthday was. I told him the truth and he proceeded to ask about the prior day (my birthday) and the current. I thought it was sweet of him to do so. I'm writing because I wanted to you to know that the extra 2 minutes your employee took to actually inquire about how I was doing made a difference on my outlook for the rest of the day. Sometimes all it takes is someone to ask. Not to mention that the drink I ordered was delicious. Kudos to your company and your employees. Keep up the great work! Take it away Dr. J !